Wow, Its Weekend!!! After explaining how I obtained my GTBank NairaDebit MasterCard in my previous post. This post will be explaining the activation process of the GTBank Naira Debit MasterCard because without activating the Debit card for online internet banking you can’t use it to make payments or do anything online, it will only work like an ATM Card. To activate your new Debit Card, go to the GTBank branch where you were given the card and ask for the online banking activation form, you will be given a form in which you have to fill so many details of your account and your new Debit MasterCard. Don’t panic, it’s what you can do in 5 minutes. Note that the activation of the online banking service costs N2,200 at the time of publishing this post. After filling the form, the Internet Banking attendant will help you register your account details and then you will be given a Token (A digital device that generates transaction codes, it looks like a small digital watch). Not up to 3hours, you will receive an email from GTBank containing your username and password to log on to the GTBank website. 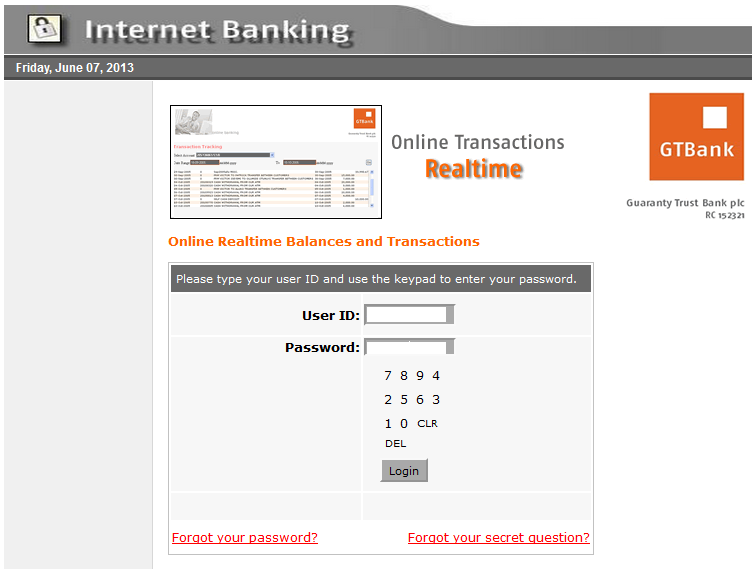 Now, you can login to the website to access your savings or current account and also to activate your MasterCard. 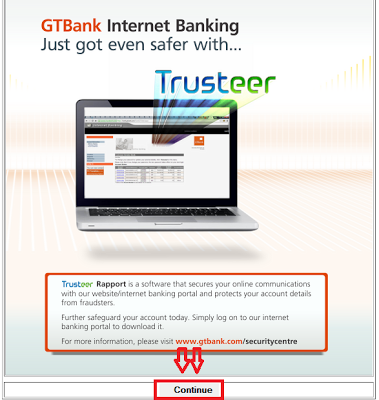 To login, Click on the Login link under the Internet Banking option and click the continue link in the next popup window as seen in the image below. Now, fill in the username and password box with the username and password you received earlier in your email.Then, click on Get Activation code in order to get the activation code for your online internet banking (Follow the process and fill in your details to get the activation code). 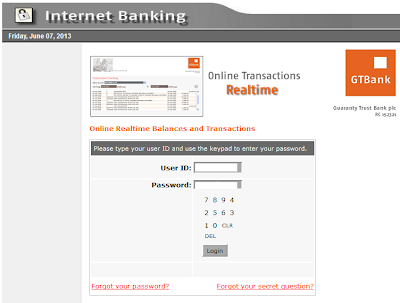 Now, you are logged in to your GTBank internet banking account. Click on the activate GTBank Debit MasterCard link and fill in the details of your GTBank Naira Debit MasterCard accordingly. Be careful with your GTBank Naira Debit MasterCard, don't disclose any of your Card details to anyone, If you have difficulties while activating your Card, Drop a comment by making use of the comment box below and don't forget to share this post with your friends.